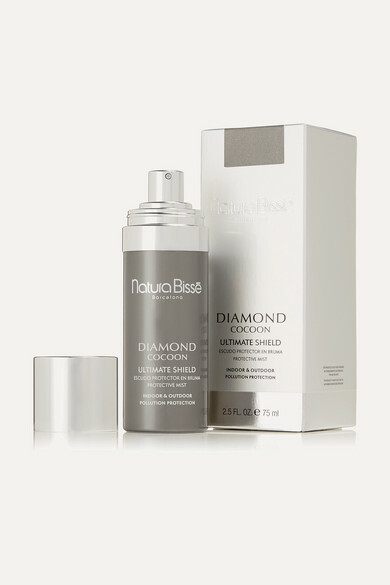 Natura Bissé's 'Diamond Cocoon' mist is an easy, refreshing way to protect against free radicals and premature aging. It creates a breathable veil that prevents particles adhering to your face and fights the damaging effects caused by blue light, gases and pollution. The powerful antioxidant-rich barrier shields, hydrates and strengthens, while also evening skin tone and setting makeup.